Tributes have been paid to former Welsh Liberal Democrat leader Richard Livsey who has died aged 75. Lord Livsey, who had a leading role in the Yes campaign in the assembly referendum, was called a "wonderful friend to Wales" by the first minister. He was Brecon and Radnorshire MP for 11 years and Welsh party leader for eight years. Lib Dem leader and Deputy Prime Minister Nick Clegg said he was a "kind and thoughtful man". Mr Clegg said the peer was also "respected by both constituents and colleagues of all parties". He added: "He was a highly regarded member of the House of Lords - a passionate Welshman who fought for his ideals all his life. He was a true Liberal and a compassionate voice for Wales." Welsh Lib Dem leader Kirsty Williams said Lord Livsey would be remembered as a champion for rural communities. Ms Williams, the Brecon and Radnorshire AM, said Lord Livsey had inspired her to join the party as a teenager and had acted as her political mentor. She said he was "a man of immense honour and decency who was loved and respected by his constituents, colleagues and by politicians of all parties." "His role in achieving a 'Yes' vote in the 1997 referendum establishing the National Assembly for Wales will be long remembered," she said. First Minister Carwyn Jones said: "Richard was a thoroughly decent and principled man. He was a wonderful friend to Wales and a passionate devolutionist. "His counsel will be sorely missed come the referendum campaign next year." I think you would be hard-pressed to find someone who didn't get on with Richard Livsey. He was a very pleasant man, a very gentlemanly man. He was not a charismatic man - that was partly because of his voice. He was not David Lloyd George making great speeches. What he was though was an effective, assiduous and very hard-working man. His great achievement was to make us think of Powys as being the Liberal heartland, because it wasn't before Richard Livsey. Montgomeryshire was, Brecon and Radnorshire wasn't. He won the 1985 by-election, a very narrow squeak. He won it and then - although he lost it on one occasion - gradually turned it into a Liberal heartland. Archbishop of Wales Dr Barry Morgan, who is also chair of Tomorrow's Wales, which looks at devolution, said Lord Livsey was "ahead of his time" when it came to the need for devolved government for Wales. He added: "He was an active member of the executive of Tomorrow's Wales / Cymru Yfory who contributed a great deal through his political wisdom and experience, including his ability and readiness to talk to members of all parties in the House of Lords. "He brought his liberal instincts to all he said and he did so with genuine humility and gentleness. He will be greatly missed nationally and by Cymru Yfory." Plaid Cymru leader Ieuan Wyn Jones, the deputy first minister, also paid tribute, describing Lord Livsey as a "very good colleague and hard-working MP". "His interest and support for agriculture and our rural communities was formidable, " said Mr Jones. "Richard's commitment to devolution in Wales was also enormous. I recall how thrilled he was to have been a part of the successful referendum campaign in 1997. "He played a major part in that campaign, and this important contribution will live on to future generations in Wales." Welsh Conservative leader Nick Bourne said he was a "kind man and a hardworking and committed servant of the public" and would be missed by people from across the political spectrum. Welsh Secretary Cheryl Gillan said Lord Livsey had "made an invaluable contribution to political life in Wales in both the House of Commons and the House of Lords" and would be remembered in "high regard". Lord Livsey leaves a wife, two sons, and a daughter. Brought up in Talgarth, Breconshire, he entered Parliament in a by-election in Brecon and Radnorshire in 1985 and held the seat by just 56 votes in the 1987 general election. He became Welsh Liberal Democrat leader in 1988 but lost his seat by 130 votes in the 1992 election. He was re-elected five years later becoming Liberal Democrat Shadow Welsh Secretary. He became a peer after standing down as an MP in 2001. Lord Livsey played a leading role in the Yes campaign in the Welsh assembly referendum in 1997 and took to the stage alongside then Welsh Secretary Ron Davies and the other campaign leaders as the narrow result in favour of devolution was announced. He had a close connection with the Brecon and Radnor area all his life, as Trustee of the Campaign for the Protection of Rural Wales and chairman of the Brecon Jazz Festival. Lord Livsey was also a member of Talgarth Male Choir and appeared with them at the Royal Albert Hall last year for a Welsh Association of Male Voice Choirs concert. Choir secretary Richard Williams said: "He was a bass and he enjoyed singing, and we enjoyed seeing him. "He was very much a local man even though he was a national figure. Everybody liked him because he had no airs and graces - he was just a choir member." The peer helped found the Welsh Agricultural College in Aberystwyth and was a senior lecturer in Farm Management from 1971 to 1985. President of the Farmers' Union of Wales, Gareth Vaughan, said Lord Livsey was a "good friend" to agriculture in the Lords. "When we had an issue it was very easy to pick up the phone to Lord Livsey," he said. "It is so important for us to have people in authority who understand the ways of the countryside. That is not the case in many quarters, but that certainly couldn't be said of Lord Livsey, who was well versed in the ways of the agricultural industry. "Apart from that, he was a very, very popular man and politician, and not just with his own party but across the political spectrum." 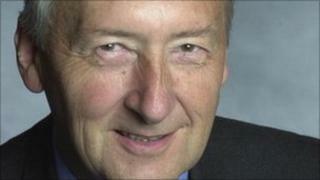 Peter Florence, director of Hay Festival and the Brecon Jazz Festival, said Lord Livsey was an "ideal and gracious lord". He said the peer had served as a president of Brecon jazz and as vice-president of the literary festival for 20 years, and was "exhaustively generous with his time and counsel". "He was an incredibly civil gentleman," said Mr Florence. "Throughout the time I worked with him, he was constantly finding ways of connecting people and championing the rural community. "He wasn't just an MP to his constituents, he was a friend who offered vital advice and support. He was always accessible and people could always take their problems to him."